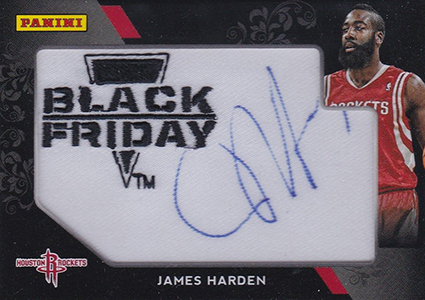 2013 Panini Black Friday trading cards cast a wide net when it comes to subject matter. Combining baseball, football, basketball, hockey and even a little hip hop, the promo set has quickly become synonymous for ushering the hobby into the holidays. The promo set does have an exclusive base set that features 49 regular cards and 12 Rookie Memorabilia cards, which are numbered to 99. 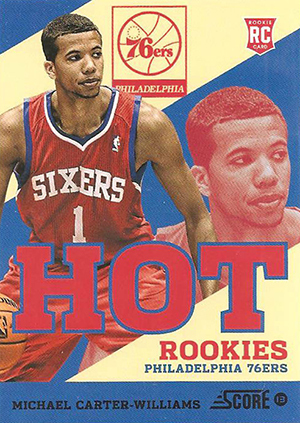 Some of the non-memorabilia rookies are numbered to 299. All four major sports are covered on the checklist. 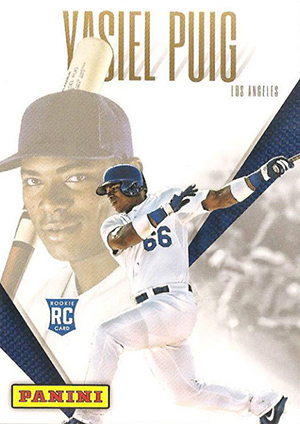 Base cards, as well as a lot of the inserts, have different types of parallels. Cracked Ice have a reflective background that resemble a stone mosaic. Lava Flow cards have a wavy background. Progression Proofs are single-color cards. 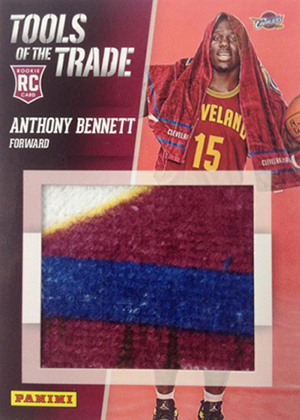 Proofs for memorabilia cards do not have the swatch. 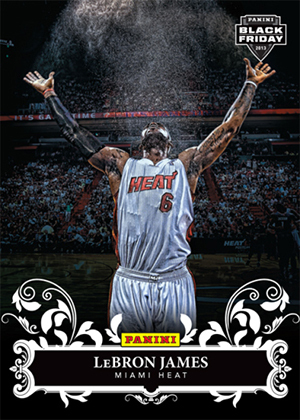 Panini Collection is a basic insert set that uses strong photography as a focal point. Besides superstars from baseball, basketball, football and hockey, the checklist includes DJ Kool, who has appeared at Panini VIP parties at the 2013 National and the 2013 Toronto Fall Expo. He isn't the only hip hop star in the promo product. 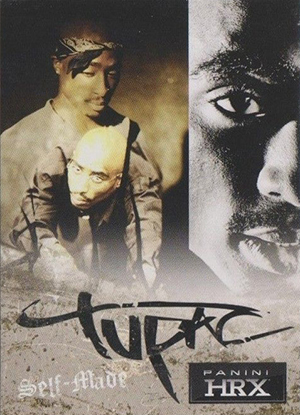 Legendary rappers Tupac, the Notorious B.I.G. and Snoop Dogg have HRX inserts. These have a QR code on the back that, when scanned, unlock video content. One of the things that the Panini Black Friday program has done to distinguish itself in a short period of time is bring more unique pieces of memorabilia to the hobby forefront. One example of this is Happy Holidays. These festive relics have pieces of player-worn Santa hats embedded in them. 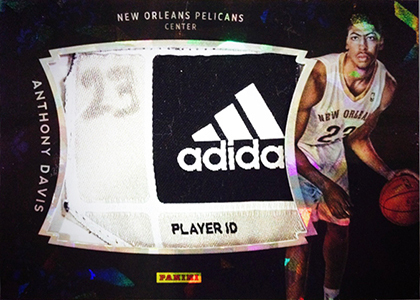 While they may not pack the same prestige as a swatch of game-used jersey, they do make for some interesting -- and fluffy -- cards. Falling under a similar category are Tools of the Trade. The majority of these pieces of colorful towels used by athletes at photo shoots. 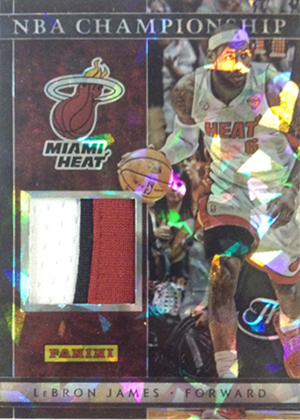 Other memorabilia cards in 2013 Panini Black Friday include NBA Championship cards honoring the Miami Heat, Breast Cancer Awareness and Rookie Materials. Promo packs also have randomly inserted autographs. A lot of these are parallels of existing sets. However, there are a couple of exceptions. 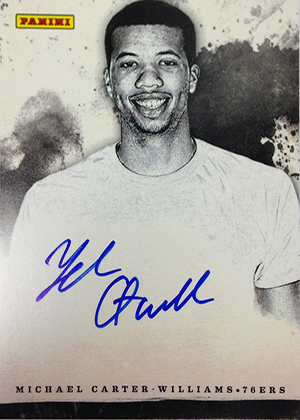 Ink has on-card autographs from top 2013 NBA Draft Picks like Michael Carter-Williams, Anthony Bennett and Victor Oladipo. 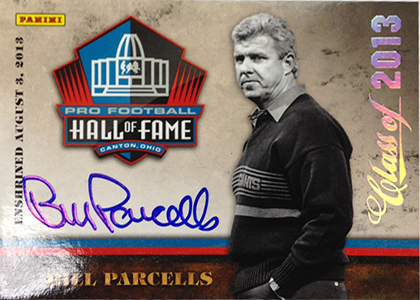 Pro Football Hall of Fame Class of 2013 is a set of hard-signed cards from the latest Canton inductees. 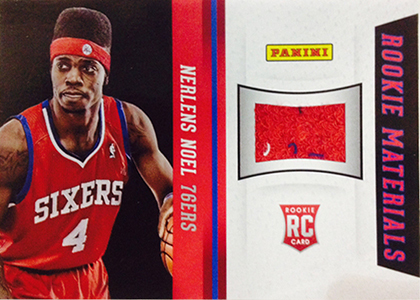 An exclusive 2013-14 Select Hockey Red Prizm parallel is also included. These are numbered to 35 and not included in Select packs. 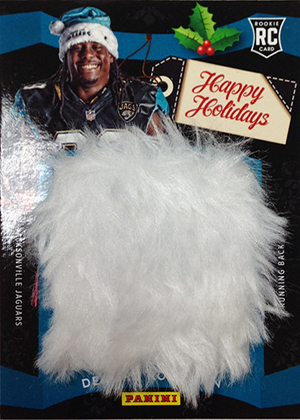 2013 Panini Black Friday packs are available at hobby shops who are part of the manufacturer's Roundtable program. They're designed as an incentive to drive sales with most shops giving out packs for in-store purchases. Collectors may notice two different pack colors. These differentiate packs that were given to shops for free, simply for being a qualifying shop. The other packs are ones given for ordering Panini product. All packs come from the same production run. According to Panini, one color doesn't offer better odds on rare cards over the other. 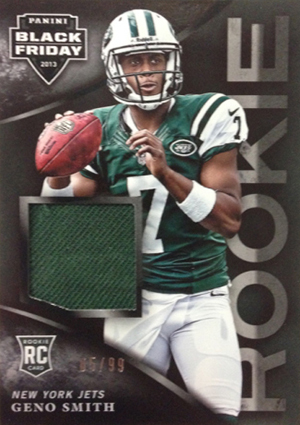 It should be noted that packs with memorabilia cards are noticeably thicker. This means that they cherry picking isn't hard. 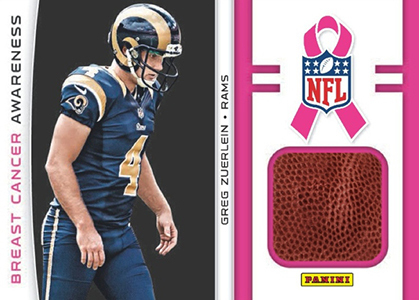 If you're buying 2013 Panini Black Friday packs online, it is important to be aware of this. Some sellers, but not all, do note thicker packs. 49 cards. #32 does not exist. No Cracked Ice, Lava Flow, or Progressions exist for #33-50. Anquan Boldin is also in the Super Bowl set, making it 8. I’m also guessing that Ray Lewis and Terrell Suggs bump the total to 10 cards. Can’t have a SB set w/o Ray. I also got a Select hockey red prism #148 ( Brian Campbell ) in a pack. What does this mean? Did they insert these regular issue inserts amongst some packs? 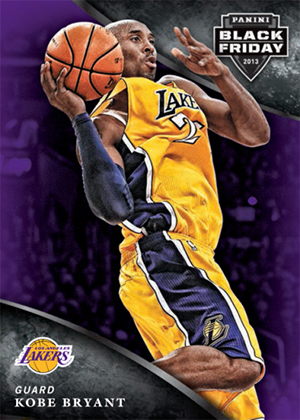 david henry � They’re exclusive to Panini promo packs. Some appear to have also been included in Toronto Fall Expo packs as well. Pulled a Nassib cracked ice hat tag card. Didn’t see it listed. Any idea how rare? 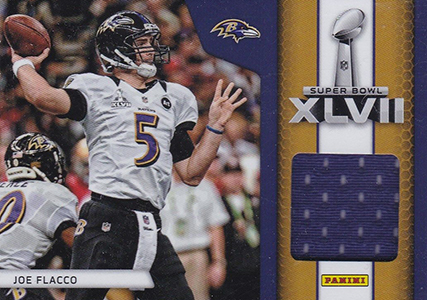 In the Super Bowl XLVII Memorabilia Checklist Ed Reed is SB4 I got a cracked ice one of him. cody are you looking to sell the ed reed? Anyone have any idea on the print run of black & white cards with blank backs from this set? Cannot seem to find any info on this.